Bob Vander Heyden is many things to Rockford softball – a pioneer, complex owner and manager, team sponsor, tournament sponsor. His biggest claim to fame, literally, is being responsible for building Rockford’s first softball complex. In 1969, Vander Heyden and partner Bill Rader rebuilt an old supper club situated on a five-acre island in the middle of the Rock River into the Ace of Diamonds. He ran The Ace with great success from 1970 through 1980, when he sold out to Rader and moved to California. The Ace was affiliated with the ASA that first year. In 2972, he hooked up with Dewey Everts and the USSSA. Vander Heyden is grateful to many people for the success and satisfaction he experienced with The Ace – USSSA, Ken Paulson, Ken Franzen, Dewey Everts, his sons Brad and Lance and Bill Rader. He also had a special place in his heart for all the people he met through the years. Over the years of softball at every level from Class C to Major, Janeville’s Dennis Muth has played on some of the best teams around the Rockford area, including Jumbo’s Pub, Legends, Back Bar, Chipper’s Pub and Shockers. Over that time, he has played in 27 State Championships in two states, 35 NITs, two World Titles and finished in the top ten in many other World events. Along the way, he’s been named All-Tournament more than 30 times and has earned six Most Valuable Player awards. His most recent MVP was at the USSSA 35 & Over World in 2003. Asked to give his overall won-lost record, Muth can only say thousands of wins and hundreds of losses. Muth retired three years ago, but it didn’t last. So Muth continues to play highly competitive softball despite turning 50-years-old this past spring (as of fall 2003). The last two seasons, he has sponsored and pitched for the Shockers, a competitive B team. It’s good that the Illinois USSSA Hall of Fame does not require people to retire before they’re eligible for induction because it’s unclear whether Muth will ever truly hang up his softball spikes. What is clear is that he is one of those people who is most happy with those spikes on his feet, most alive on a softball field. “We need more people like Dennis Muth who really love the game of softball,” Paulson said. We honor Dennis Muth’s long career in softball by welcoming him into the Illinois USSSA Hall of Fame. It is all but impossible to have played serious softball in Illinois for any period of time and not have crossed paths with Ken Franzen. It’s nearly as difficult to pick a category in which to place Ken for induction into the Illinois USSSA Hall of Fame. As a player, coach, umpire, USSSA official, tournament director and facility director, Franzen has played most every role you can play in softball over the past 30 years, and played them all exceptionally well with dedication and attention to detail. 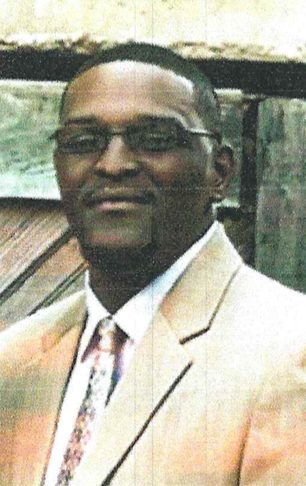 A star athlete in high school, Ken was a guard on an Elite Eight basketball team. He took that drive and athleticism into the USSSA slow pitch game, helping to bring back a Divisional championship to Rockford. As a facility director, he managed a wide range of leagues and tournaments over the years, in the process creating one of the most special places anywhere to play and watch softball –Forest Hills Diamonds. A die-hard Cubs fan, Franzen also graced the outfield fences of Forest Hills Diamonds with Wrigley Field-like ivy. “What Ken has done for over 30 years is create a garden spot where men and women could play softball,” Papich said. As an umpire, Franzen has served as State Umpire in Chief, and has conducted numerous innovative and informative clinics that have helped bolster the professionalism of USSSA umpiring. Finally, as a USSSA official, Franzen has consistently been the type of go-to guy that makes organizations run well. He has been a fixture at USSSA National meetings, bringing his exceptional grasp of the game to the rules committee. In addition, he continues to provide statistical services for the Men’s Major World Series. Rockford is a much better softball town, and the USSSA a much better softball organization thanks to the love of the game, the hard work and the dedication of Ken Franzen. We formally recognize that hard work and dedication as we welcome Ken into the Illinois USSSA Hall of Fame. To say Steelville’s Ron Lindenberg has covered many facets of the game of softball would be an understatement. Be it a player, umpire, manager or director, Lindenberg has done whatever it takes to promote USSSA softball, especially in southern Illinois. He started playing softball in 1968, but it was not until 1976 that his team played in USSSA-sanctioned tournaments. He played at every position at least once, but lists outfielder as his main position while playing for teams such as Wayne and Rosie’s and Lindsey Oilers. A very solid hitter, the man known as “Toad” posted a .578 career batting average, while smacking 157 home runs over his 14 years. When he wasn’t running down fly balls, Lindenberg took his talents to the mound, compiling a 145-33 record before retiring from the playing field in 1990. “I played in several USSSA State Tournaments, but was only fortunate enough to play in one Divisional in 1987 in Rockford,” Lindenberg said. Although he never managed a team that played in USSSA leagues or tournaments, Lindenberg won over 1,200 games in 14 years as skipper of teams playing with another association. He has been a USSSA umpire for 29 years, working numerous State Tournaments, 12 Divisional/National Tournaments and helped run umpire clinics for 17 years in southern Illinois. Along with many leagues and tournaments he has helped run, he has also hosted 13 State Championships, including two Class C State and one Class D State at Chester. He used friendships started through other organizations to help build up the USSSA, which he lists as his biggest accomplishment. Over the years, with a chance to be around several different softball programs, Lindenberg has nothing but praise for the USSSA. 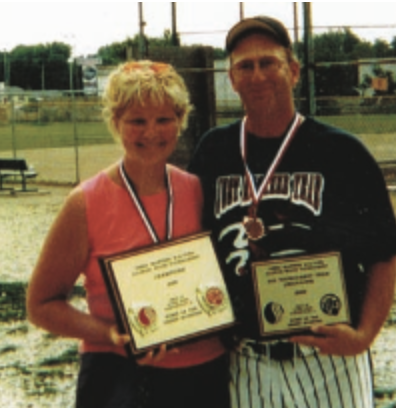 With Ron Lindenberg’s induction into the Illinois USSSA Hall of Fame, we honor someone who has devoted countless hours to try and make the softball world a better place. In a softball career that has covered over 40 years in many facets of the USSSA, John “Smiley” Sturgill has seen it and done it all. A current member of the Illinois USSSA Hall of Fame Committee, Smiley has been a player, coach, umpire and director since 1965. In the 1965 season, he started as a pinch runner and occasional substitute for the Grasshopper Tap. 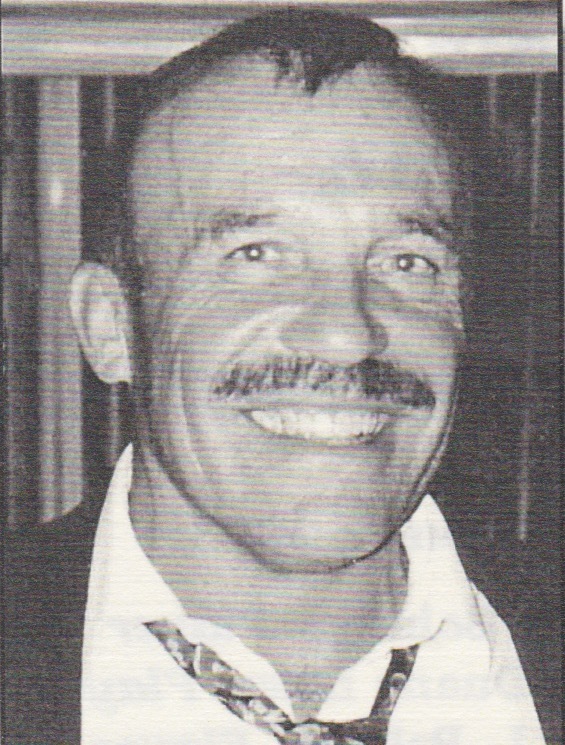 Smiley played on such teams as Dach Fence, The Boyz and Sands Hotel, after which he hung up the spikes in 1998 following the victory at the Master’s 40 & Over State Tournament. As a coach, Smiley’s career began in 1973 when he started his own Dach Fence team. He continued to coach for 27 years until he retired following the 2000 season. Over the years, his teams, starting with The Boyz of Hayden’s Sports’ Class C Championship in 1986, he won nine State Titles. In 1987, The Boyz finished the season with a 103-18 record, which included winning seven consecutive tournaments. “That [The Boyz] is the team I think I was the proudest of,” said Sturgill of the 1987 club. In 1998, he managed his Illusions Softball Club to a Class B State Championship and then in his final season as coach in 2000, L.T.’s Bar and Grill sent him out a winner by capturing the Super C State Title. Along with all the playing and coaching he was doing, Smiley started umpiring in 1980, eventually becoming one of the top umpires in the state. In the 24 years he donned the red shirt and black hat, Sturgill did men’s and women’s slow pitch, men’s fast pitch and girl’s youth fast pitch, umpiring upwards of 300 games a year. He also ran clinics at some park districts and assisted in training at national clinics. For 16 consecutive years, he umpired in State Tournaments in all classes, with the biggest honor being a Women’s Class A World Tournament that was held in Rockford. In 1992, he was awarded the USSSA Umpire of the Year Award. Smiley became a USSSA director in 1982 for the Plano Softball League. 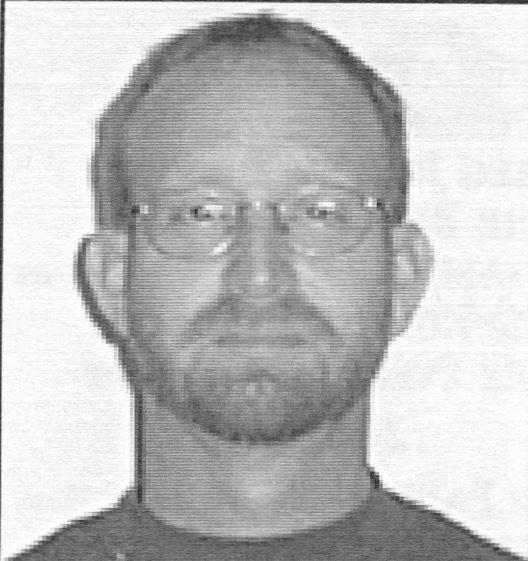 He continued as director for 20 years with the last two being assistant director to Brenda Paluson when he was in charge of the men’s slow pitch program. He has been a state director for all of the men’s classes at some point and won the Director of the Year Award for Outstanding Performance in 1990. 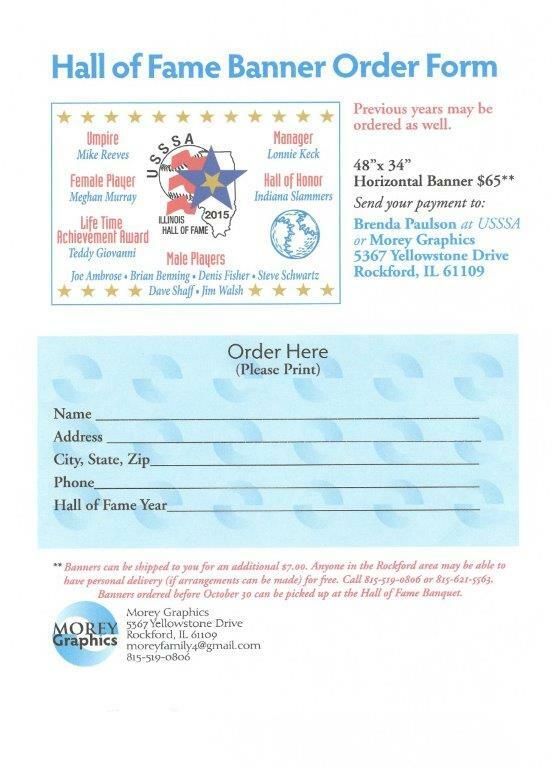 He has been on the Illinois USSSA Hall of Fame Committee since it was started in 1996. It was never a question whether Smiley would be inducted into the Illinois USSSA Hall of Fame, just a matter of when. He has left an indelible mark on USSSA softball with his work on and off the field of play. We honor all of Smiley’s accomplishments by welcoming him into the Illinois USSSA Hall of Fame. Graduating from Northern Illinois University in 1996, Jeff Myles only wanted a part-time job as an umpire to help pay the bills he acquired as a student. Little did Jeff know that becoming an umpire for the DeKalb Park District would lead to bigger and better leadership roles in the world of Illinois USSSA Slow Pitch Softball. Jeff Myles started as a league umpire in 1996. After four years of league play, he was hired full time as the assistant athletic director for the DeKalb Park District and became a league director for USSSA in 2000. During his tenure as a league director, he organized and ran leagues and umpires. He received the USSA League Director of the Year Award in 2000 after his very first year. It was in 2003 when Jeff had a chance to umpire weekend USSSA tournaments, including state and divisional tournament games in Illinois. From 2006 to 2012, Jeff Myles had the distinct pleasure to umpire men and women World Series Tournaments in Florida where he was able to see the difference between USSSA and other softball organizations. He received the Illinois State Director Umpire Award in 2007. Jeff was the Illinois Umpire-in-Chief from 2009 to 2013. During his tenure as the state U.I.C., Jeff described some of the biggest challenges to include unifying all umpires as one and expanding the number of umpire clinics in the state under one voice. 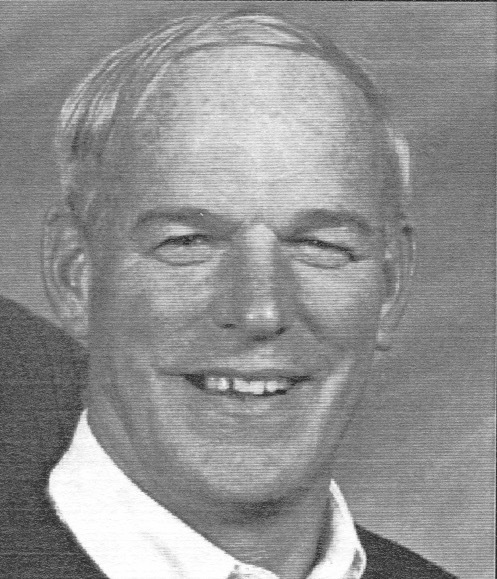 He received the Illinois Distinguished Service Award in 2011. Jeff Myles has served in every leadership role in the Illinois USSSA up to the executive director position. At every level of leadership, Jeff’s goals remained the same, to make a difference, learn how to be a better leader than before and lead by example. Jeff is proud to leave that has his legacy with USSSA.